Planetary rulerships are explained and systems for using them are presented. How to make a rulership tree. 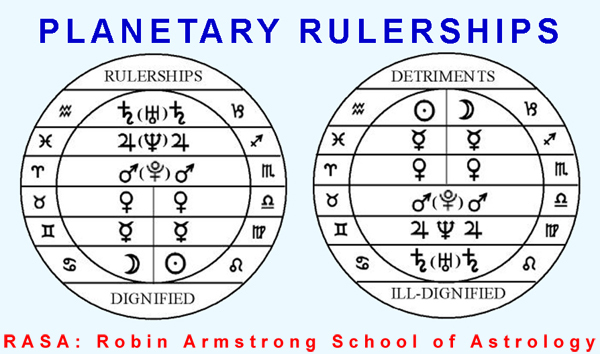 Rulership associations by planet, sign, and house focus.